The Infusion Center at North Big Horn Hospital in Lovell, Wyoming provides excellent care to our patients and accommodates patient care needs with convenient hours. 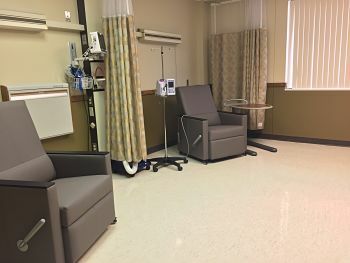 Patients are able to come to the Infusion Center at North Big Horn Hospital in Lovell for their treatments and injections Monday - Friday from 7:00 am to 5:00 pm. During your treatment, members of the North Big Horn Hospital Infusion team may visit you including: doctors, nurses, social workers, chaplains, receptionists, patient care navigators, financial counselors, pharmacists, and others. This interaction ensures that the patient and family needs are being met and allow us as a team to connect with our patients. 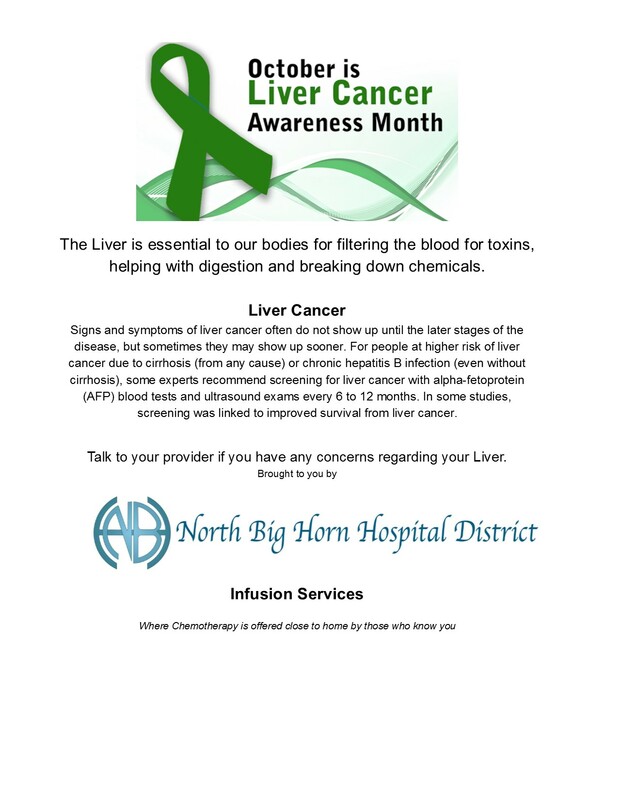 The caring registered nurses at the Infusion Center are specially trained and certified to give chemotherapy. 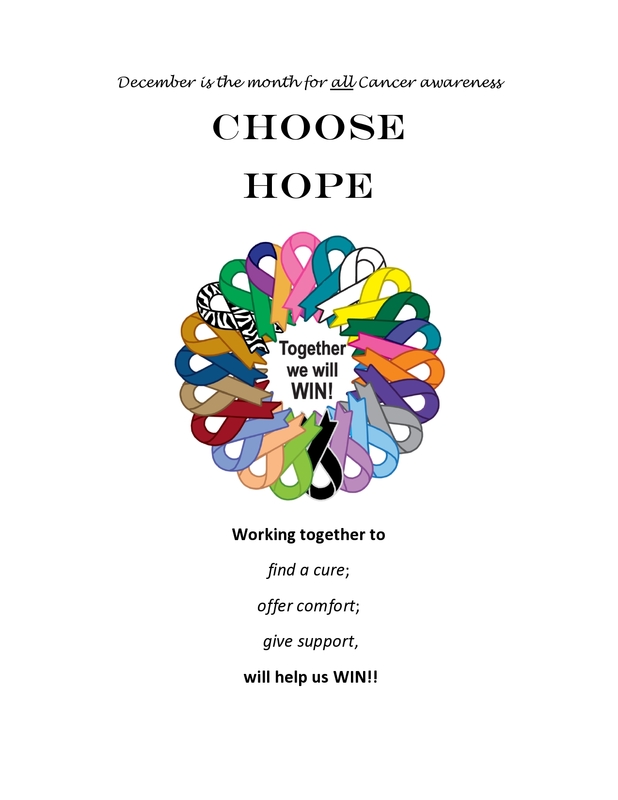 They have taken required Chemotherapy/Biotherapy courses through the ONS (Oncology Nursing Society) and must continue their education. Every patient is carefully monitored for the proper therapy and provided with drug information about potential interactions and side effects. Families are encouraged to be with patients, to participate in the education and care giving process. Light snacks and drinks are available for patients. The room is comfortable with lounge chairs, individual televisions and WiFi. 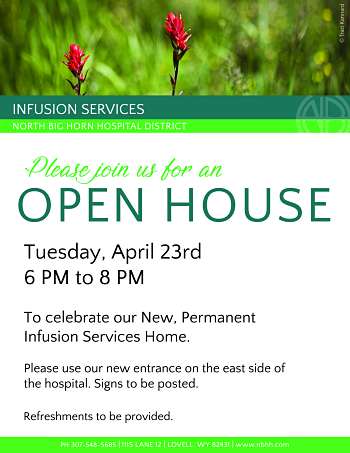 At the North Big Horn Hospital Infusion Center you will be provided with individualized care and treatment from the Infusion team that truly cares about each patient. 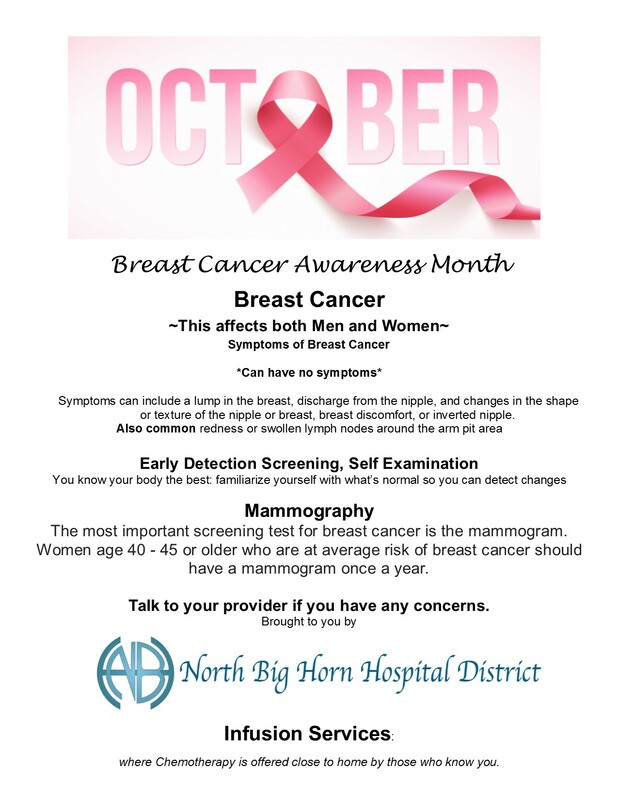 Please contact us at (307) 548-5685 for more information or if we can assist you.